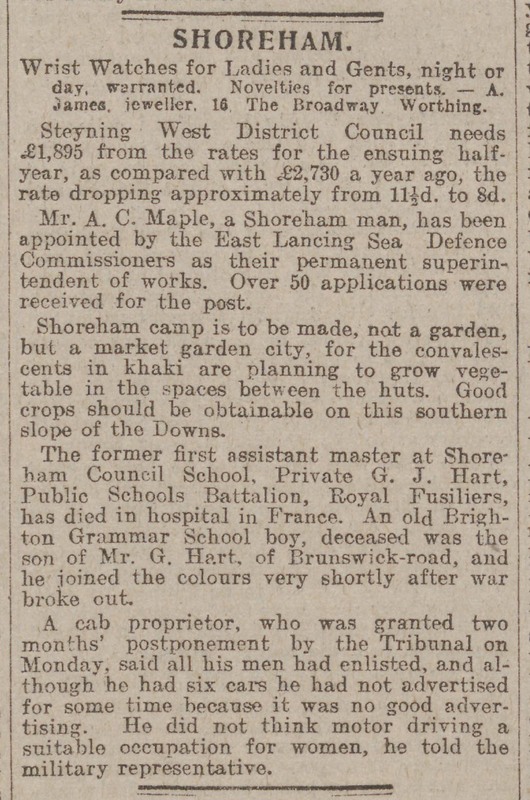 On This Day 1916: Convalescing soldiers plan to grow veg between the huts at Shoreham camp. Amongst that day’s news on Shoreham was a story that the Convalescents in khaki at Shoreham planned to turn their camp into a ‘market garden city’. Between the hutments spread across almost 350 acres of the Downs they grew vegetables. The south-facing slopes where the huts are built would have produced good crops. 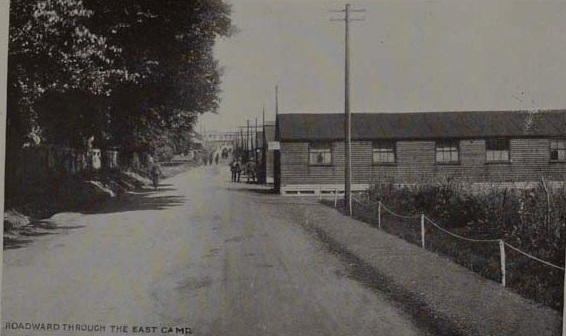 View of road through East Camp.